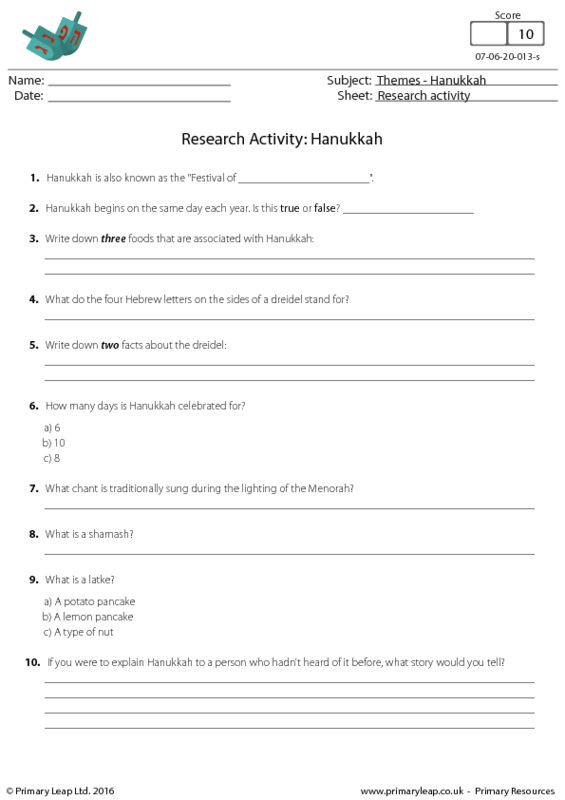 To celebrate Hanukkah we have created this research activity for students to enjoy. 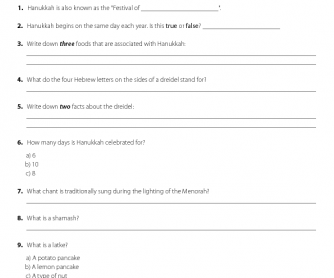 This worksheet was created by PrimaryLeap.co.uk. Hanukkah is the Jewish Festival of Lights and lasts for eight days. It usually falls in late November or December. Jewish people celebrate Hanukkah to commemorate the Miracle of the Oil.